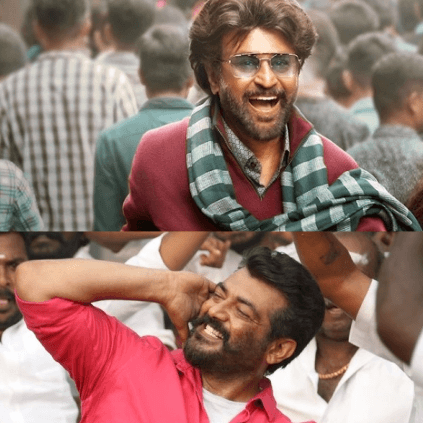 Petta and Viswasam, which released on January 10th, marking the Pongal holidays, has had a dream run at the box-office. Both the movies are still running packed shows, thanks to positive responses from all walks of audience. They have now earned the status ‘Blockbuster’. With these two films performing huge at the box-office, it is a great start for Tamil cinema this year. With a lot of big releases lined up in the upcoming months, the baton will indeed be passed on, to perform big once again, at the box-office. Films with good content tend to get critically appreciated, and with such a head start in the form of these films, their numbers at the box-office will also see a rise. Petta, directed by Karthik Subbaraj stars Rajinikanth, Nawazuddin Siddiqui, Vijay Sethupathi, Simran, Trisha, Sasikumar, Megha Akash and Sananth in lead roles, with music by Anirudh Ravichander. The movie is produced by Kalanithi Maran under the banner Sun Pictures. Viswasam, on the other hand, stars Ajith, Nayanthara, Jagapati Babu, Thambi Ramaiah, Robo Shankar and Anikha in lead roles, and directed by Siva, with music by D.Imman. It is produced by G.Thyagarajan under the banner Sathya Jyothi Films. People looking for online information on Ajith Kumar, Blockbuster, Nayanthara, Petta, Rajinikanth, Sathya Jyothi Films, Simran, Sun pictures, Trisha, Vijay Sethupathi, Viswasam will find this news story useful.